Please plan to join us September 5-9, 2018, as we welcome the Southern Psychiatric Association to Nashville for its annual meeting. This year’s meeting will be held at the Loews Vanderbilt Hotel in Nashville. We have an incredible program this year with amazing speakers. This year’s theme is Forging the Future in Psychiatry – From Practice to Healthcare Delivery. We hope you can join us for the scientific sessions, collaboration, receptions, and networking. Please reserve your hotel room early as there are limited rooms reserved for our meeting. When you reserve your room, please mention Southern Psychiatric Association to receive our group rate of $219 per night (plus taxes). Reservations can be made by phone at 888-377-5569 or on Loews website. Twelve AMA PRA Category 1 CreditsTM are approved. Speakers include John Hendrick, MD; Rodney Poling, MD, DFAPA; Mary Helen Davis, MD; E. Wesley Ely, MD, MPH; Rif S. El-Mallakh, MD; Michelle Cochran, MD, DFAPA; Brian Hepburn, MD; Harsh K. Trivedi, MD, MBA; Michael Baron, MD, MPH, DFASAM; Altha J. Stewart, MD; Jenny Boyer, MD; Phil Wang, MD, Dr. P.H. ; Steven S. Sharfstein, MD; Moira A. Rynn, MD; and Clifton R. Tennison, Jr., MD, DLFAPA. Topics will address delirium and acquired dementia, trends in future psychopharmacology, TMS therapy, continuum of care, the evolving healthcare system, an APA leadership forum, the Goldwater Rule, child and adolescent anxiety disorders, and mindfulness meditation. Appropriate prescribing in Tennessee will satisfy the two hour CME requirement for prescribing practices in Tennessee. Here are links for the Annual Meeting program agenda and registration form. If you have any questions at all, please contact TPA Executive Director, Jackie Cavnar at jcavnar@mhamt.org or 615-312-3122 or SPA Executive Director, Janet Bryan at jbryan@sheppardpratt.org. We hope to see you in Nashville! Welcome to the website for the Tennessee Psychiatric Association. The Tennessee Psychiatric Association was established in 1958 as a district branch of the American Psychiatric Association and is incorporated as a non-profit organization. We are a statewide medical specialty organization with more than 300 board certified members who are dedicated to developing the highest quality of comprehensive psychiatric care for patients, families and communities. Through advocacy, education and career development, the Tennessee Psychiatric Association works to protect both the profession and mental health patients throughout the state. April has been a busy month for TPA members. Multiple events took place the weekend of April 13-15 in Nashville and Memphis. Don’t forget to RSVP to Jackie Cavnar if you plan to attend Tennessee reception for Altha Stewart, M.D. in New York City on May 7. Valerie Arnold, M.D., TPA President-elect; Altha Stewart, M.D., APA President-elect; James Greene, M.D. 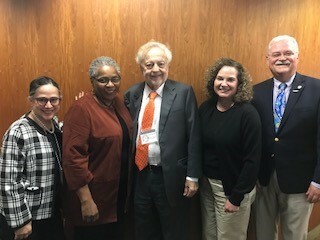 former TPA President; Jackie Cavnar, TPA Executive Director; and Rodney Poling, M.D., TPA President at the University of Tennessee Health Sciences Center 50th Annual Medicine Review Course and 11th Annual Family Medicine/Psychiatry CME conference in Memphis. 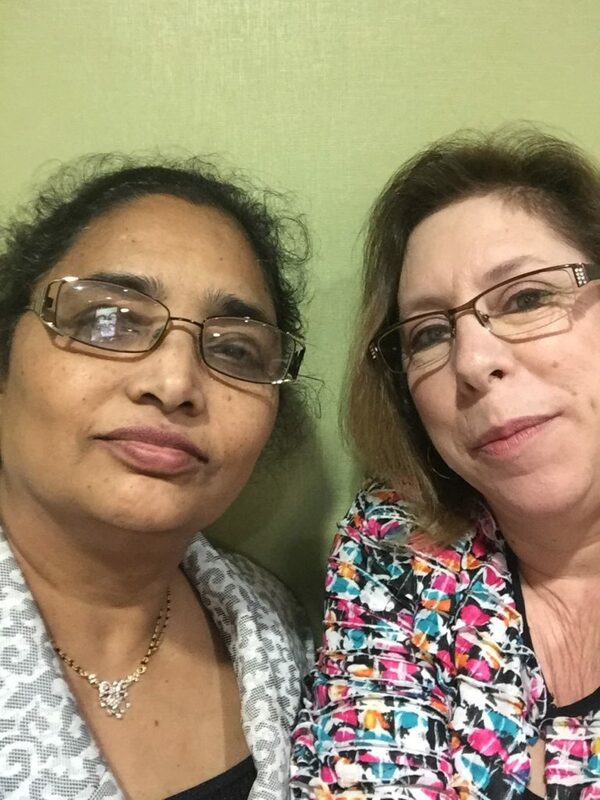 Dr.Vijaya Jaleel, IAPA-Tennessee President, and Carol Ackley, Volunteer Coordinator for Mental Health America of Middle Tennessee, at the 8th Annual Meeting of the Indo-American Psychiatric Association Tennessee Chapter in Nashville. I hope this note finds everyone safe, warm and dry! As we all look forward to springtime in Tennessee, I would like to invite everyone to think about your participation in our organization. As you may know, the TPA is a District Branch of the APA. Through the TPA, we are able to access resources from the national organization with regard to lobbying efforts both in Nashville and Washington DC. Participation is quite rewarding and interesting, as I can attest, having been directly involved in the Executive Council for the past six years. Our goal is to stimulate increased interest and participation in the organization. We have tried to have meetings across the state, but alas, attendance has been limited. We are always looking for our early career psychiatrist members to get involved. I know many early career psychiatrists are in employed positions or work in teaching institutions. It is easy to take for granted the rules and regulations governing our practice in such a situation. However, if you are not aware or involved in the premier organization to protect your rights and practice privileges, everything may change very quickly. Therefore, I heartily invite any member who is interested to participate in our organization at an increased level. As my term ends in May, Dr. Valerie Arnold will assume the office of President, and Dr. George Mathews, I hope, will become President Elect. Dr. Dolores DiGaetano, again I assume, will continue as Treasurer. Dr. Arnold and Dr. Greg Kyser serve as our Assembly Representatives to the APA. We are looking for someone interested in becoming Secretary! Our custom has been to have the opportunity to move up each year in succession, to become President. We are also looking for a delegate to the Tennessee Medical Association. Please let me or Jackie know if you are interested. My time here has been professionally challenging but enjoyable at every step. Please let me hear from you. I look forward to seeing many of you at the APA in May, during which we will celebrate Dr. Altha Stewart, member of the TPA, as new President of the APA. I also will remind you of our TPA meeting to be held in Nashville during the Southern Psychiatric Association Meeting in September.